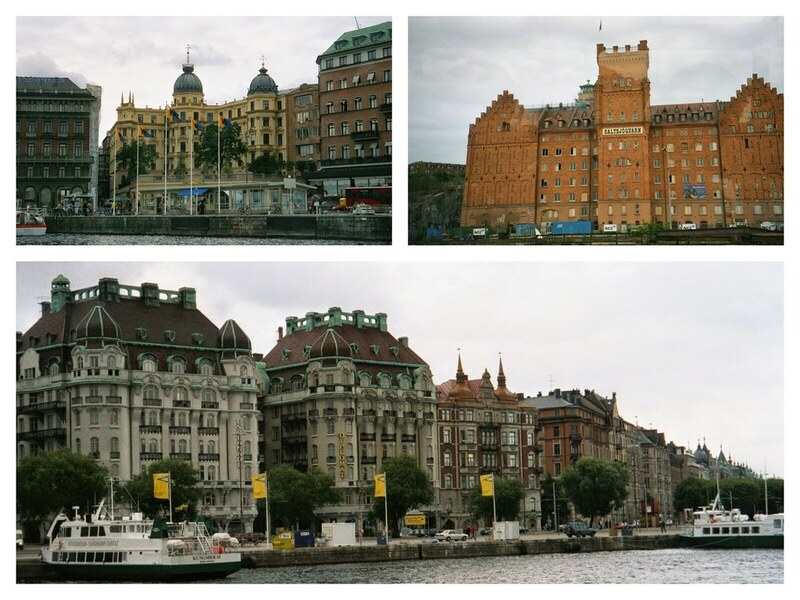 I recently came across half of my photos from when I went to Europe in 2002! My daad actually had some photo cds (from the film camera I took with me) as well as a few photo albums... So all was not completely lost when my hard drive jumped off the couch to its untimely death. 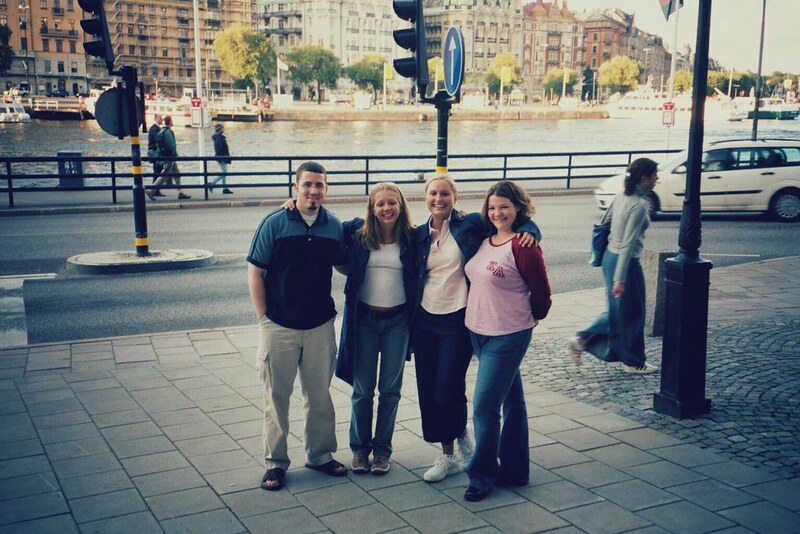 Way back in my previous life as a clarinetist, I thought it would be amazing to go to Stockholm for the 2002 Clarinetfest. I had gone to the previous Clarinetfest in New Orleans and had a blast, so I figured Stockholm would be equally if not more amazing. I was able to convince 3 of my clarinet playing friends at the university to go with me, as well as spend some time in a few other countries- because why travel all that way and not see Paris or Amsterdam?! Clearly I am a pack rat, because I still have the June 2002 issue of "The Clarinet." We left Tampa, FL on July 1 early in the morning and landed at Newark and waited and waited for our connection to Zurich later that evening. Done on purpose to avoid missing a flight due to delays. 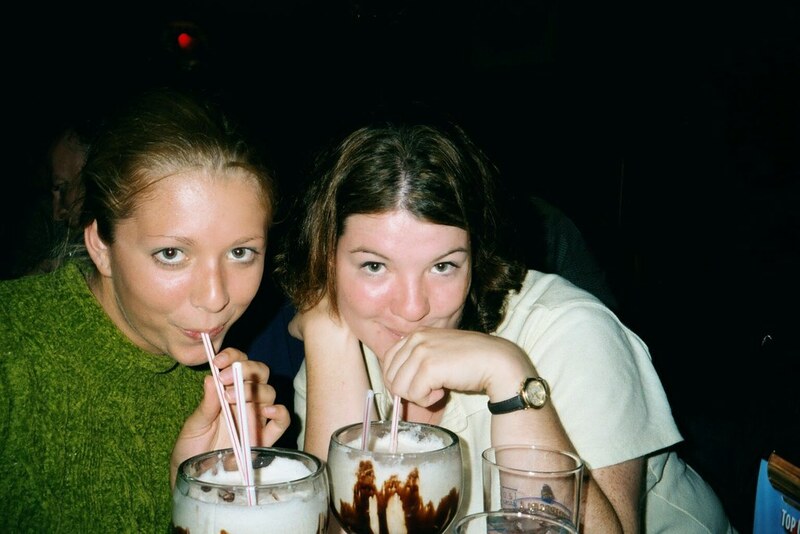 It was our first time in Europe, and we were so ridiculously excited. I've been taking photos of the planes I've flown on since the beginning. 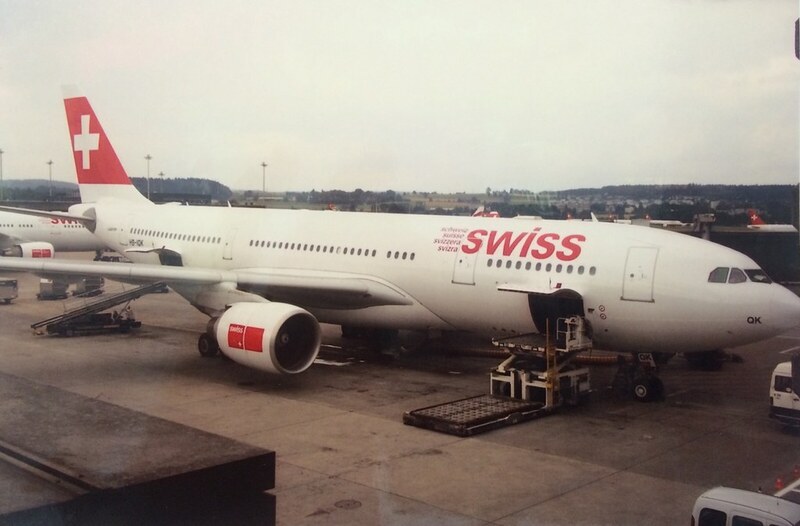 Here was our ride to Zurich. After the 2:30 flight from Zurich to Stockholm we got to our hotel- Best Western Elite and got settled into our tiny hotel room. Then we went to dinner at the Hard Rock Cafe. At the time I was really big into collecting pins from all the HRC's. The food was as you'd expect... Like I look back now and cringe at how "touristy" I was not trying many unique to Sweden foods, but we had a lot of fun and that is all that matters. G and I (with blonde hair!) and our HRC mudslides. The next day we headed out to the Clarinet convention and heard master classes by famous clarinetists as well as multiple performances of Brahms and Mozart's Clarinet Concertos as well as Premiere Rhapsody by Debussy. After a long day of ALL THINGS CLARINET, we went to TGI Fridays. 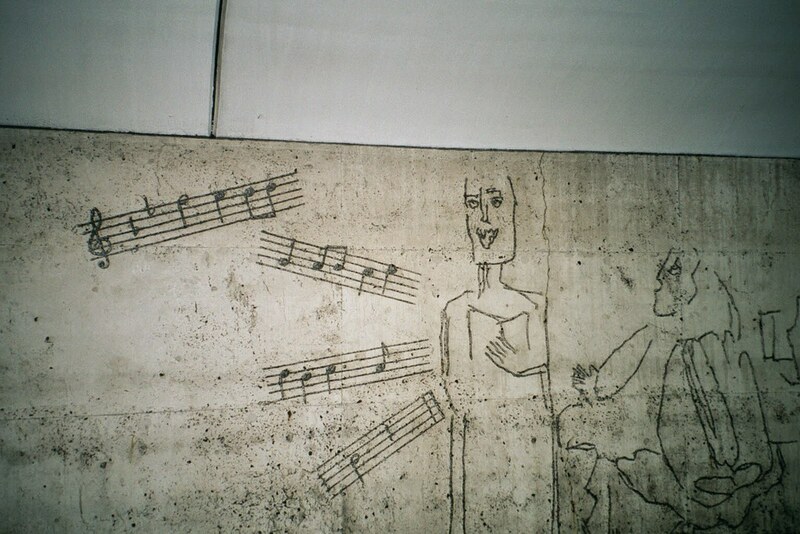 This was a mural inside of the subway which I thought was pretty cool. 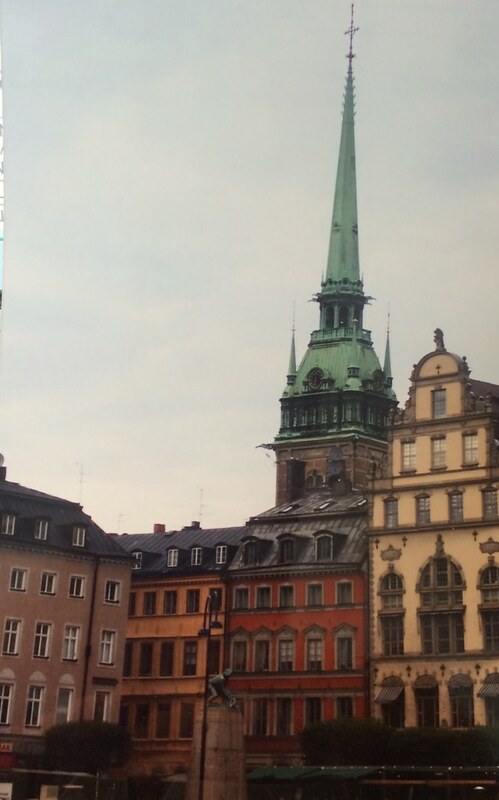 Everything in Stockholm was beautiful. It was super clean, the buildings were old and full of history, and the people were gorgeous. 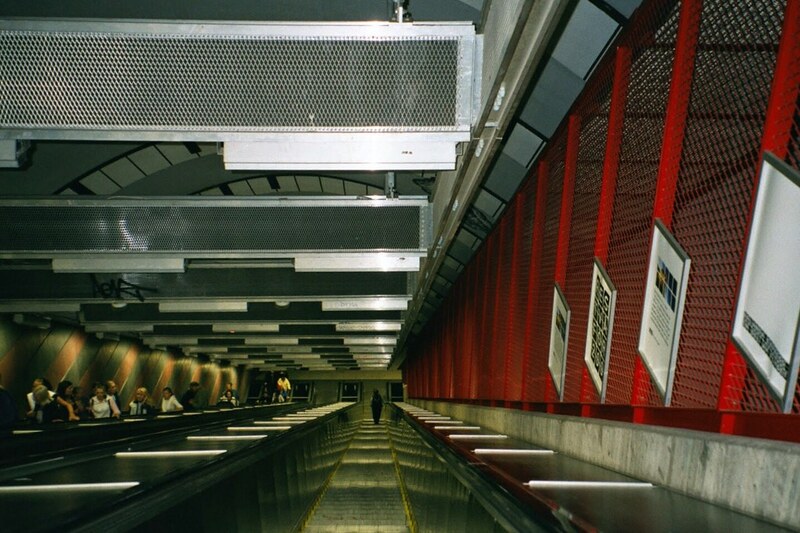 Quite possibly the longest escalator I'd ever been on- going into the subway. 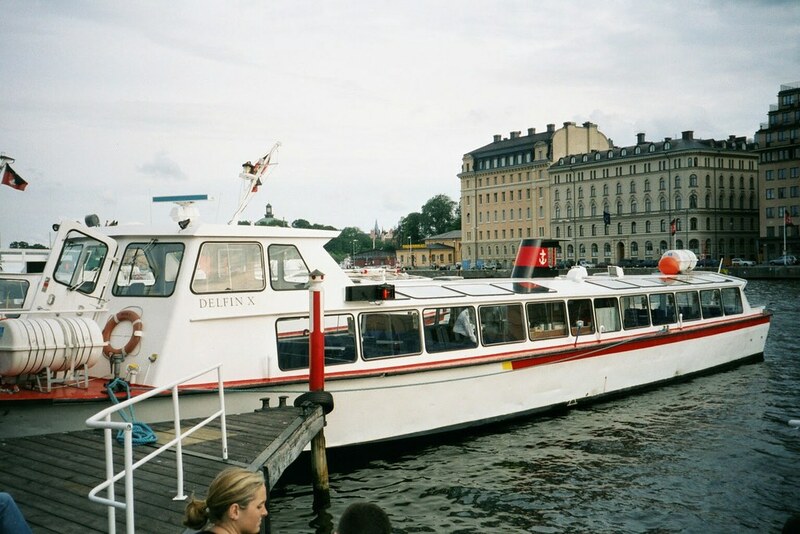 We took a boat tour of Stockholm that was setup through the festival. 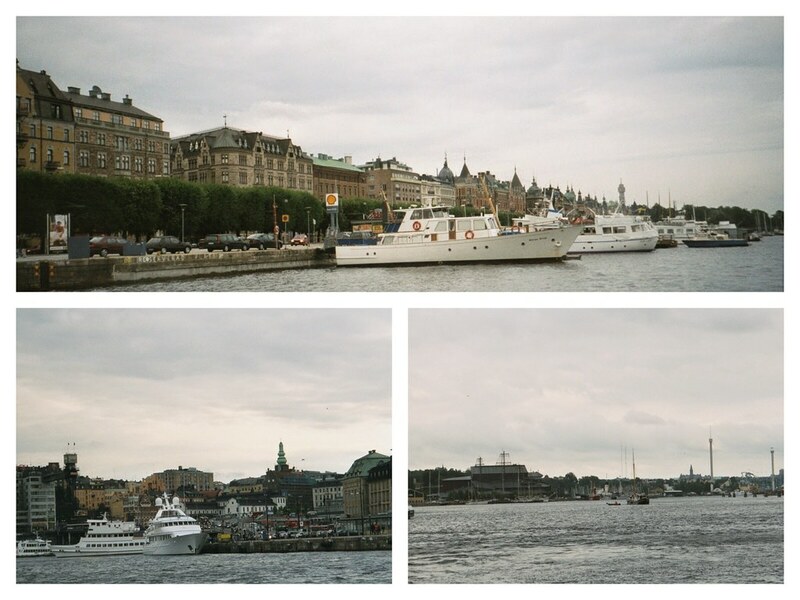 Stockholm left a big impression on me. 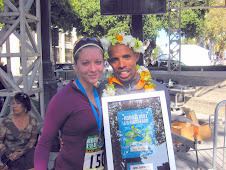 I had traveled to Bahamas and Mexico previously, but Stockholm was so different than anything I had experienced before. The buildings, the history, the culture were all so fascinating to me. I ate a "Mc Thomas" burger at Mc Donalds in Stockholm. 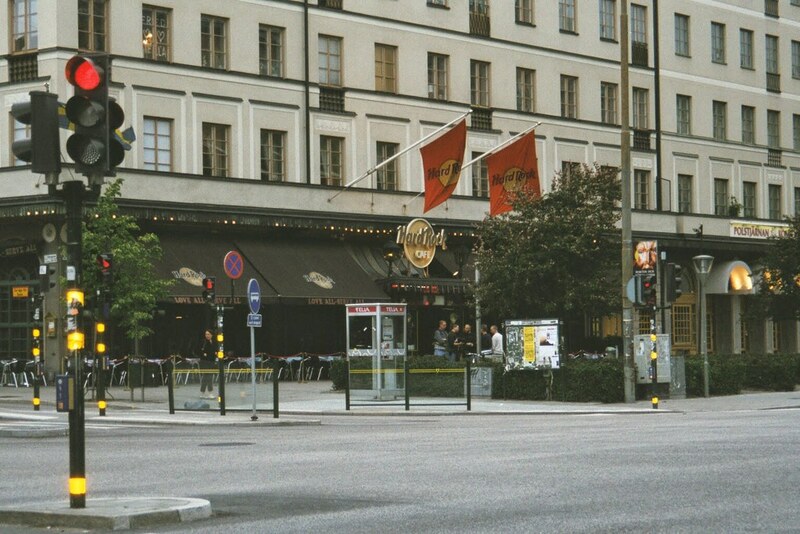 I don't recall what was on it (I didnt describe it in detail in my cringe worthy journal I found from the trip) We did go to some non American places while Stockholm- one I remember was the "Soap Bar" where I had a caprese salad which tasted really good and fresh. No photos of the food because that wasn't a "thing" 13 years ago! I took this photo at midnight in Stockholm. The sun never really sets in the summer due to how far north the city is. At midnight, it looked like dusk. Craziness. 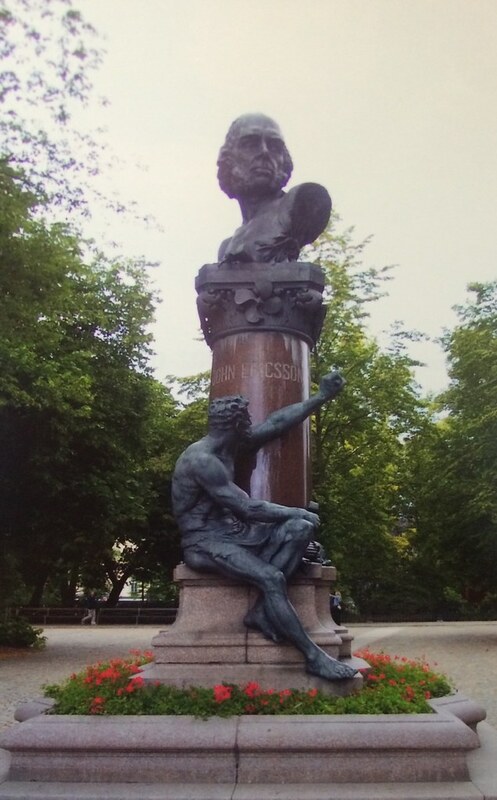 We walked around Stockholm from venue to venue for the Clarinetfest and saw many interesting statues. There was always something really interesting to look at. 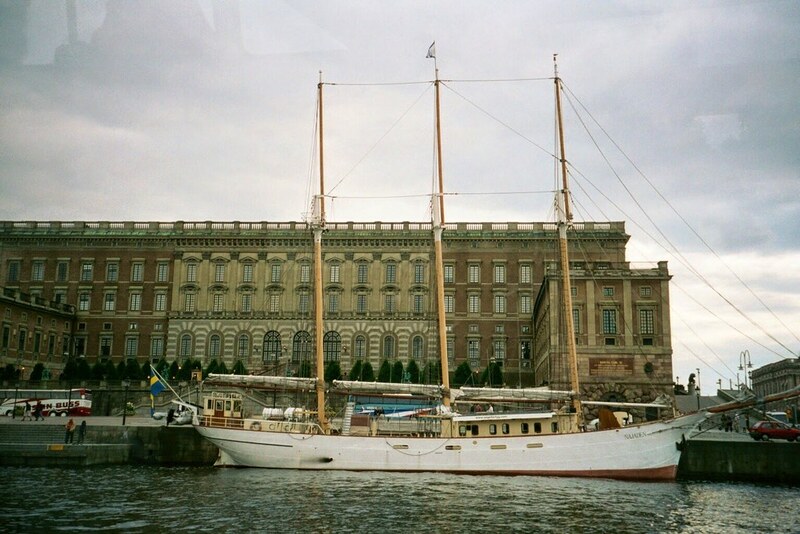 Stockholm was just so beautiful. I wanted to go into every store and see everything. The 4 of us outside of the main hall for the Clarinet fest. J, me, B, and G.
I loved the vibe of this city a lot and really want to return someday. 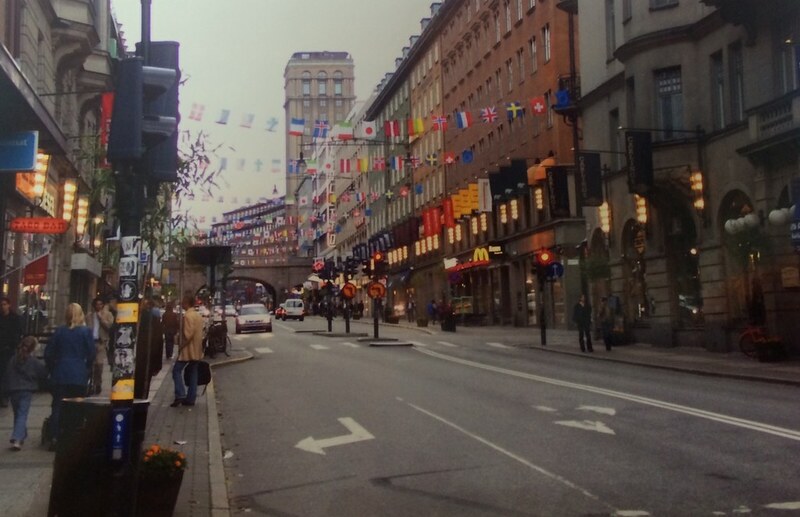 I usually don't want to go to the same place for vacation multiple times due to money and time constraints (minus places where we have family), but Stockholm is one of the places I would like to explore as an adult with more cultural understanding as well as an expanded food palate. I passed up the herring in the breakfast buffet each day, but if I ever go back, I would eat local and stay away from anything I could find in the USA. 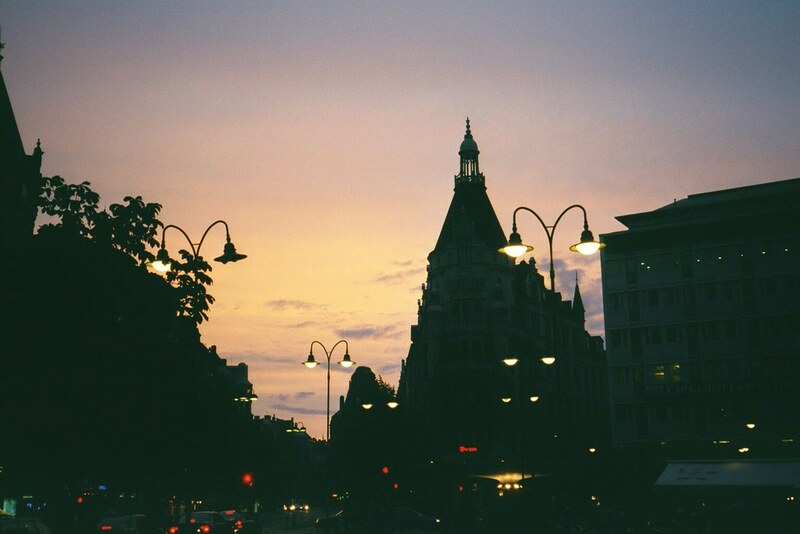 Because being a traveler > tourist. The train ride from Stockholm to Hamburg, Germany and maybe more! It must be so strange to visit a place where the sun is "out" that late! That would totally throw me off! So true! I think it's really cool to see how we evolve over time, I mean like I hope we don't think exactly the same way we did 10 years or even 5 years ago! That's so interesting about your roommate. I wonder if she still feels that way? I get the same vibe from a family member too. That they are content to just stay in their hometown and not leave. I don't think eating local food was even as much of a "thing" then either, so it's not too surprising that you ate mostly American food. I probably would have done the same at that age. Although, my mom always had a rule that we couldn't eat anything on vacation that we could get at home, so we avoided chain restaurants. I still try to stick to that when I'm traveling because there is a lot of good food out there to try! That's awesome your mom made you eat stuff you couldn't find at home. My mom was the opposite. Honestly I don't know where I get my tastes for food from (probably my dad). We wouldn't venture off the beaten paths in the places we went and only went places that were very similar to home. Now I'm the opposite, and even in Chicago want to try new things. It's so awesome to experience life as a local vs tourist in new places. I've been really bad about taking pictures of people (myself included) while traveling - all I get is the awesome scenery. I think I have like 5 pictures of me, total, from all the trips I've been on lately. That's the opposite of my parents - my dad is a really picky eater, and my mom will try just about anything. I love trying new things, especially when traveling. McDonalds, TGI Fridays and no herring? All is forgiven, because like Kim said, at least you were out there seeing the world. If getting your toes wet in international travel means going to some familiar restaurants while abroad, then so be it. By the way, I love creamed herring on buttered rye at the Chicago Brauhaus. I also used to get it all the time at the old, classic Berghoff, but now that they closed and reopened with the new concept, I don't think it's on the menu anymore (although I could be wrong). Also, Gene's Delicatessen on Lincoln Ave. (near Eric's new pad) has a big selection of all types herring! Hehehe well I did grow up in Podunk florida, so my tastes weren't as evolved at the time ;) I've grown a lot since then which is fun to analyze. Good to know about the herring and at times I'm either completely repulsed by it, and others in intrigued. The spread you mentioned sounds good. Especially with a nice cold beer!